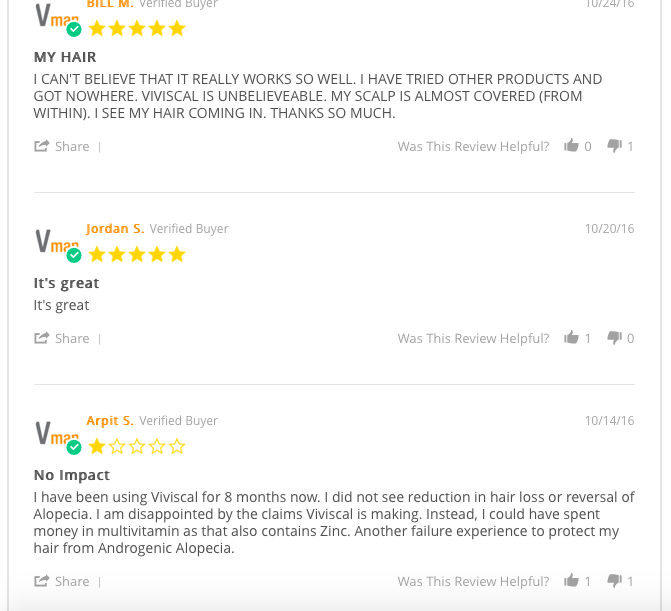 Home » Hairloss Restoration for Men » ViviscalMan » ViviscalMan Reviews – What Are the Reviews from Results? Or Is There any Side Effects? Find out from the Review ! ViviscalMan Reviews – What Are the Reviews from Results? Or Is There any Side Effects? Find out from the Review ! We have reviewed Viviscal product range for women in the past. 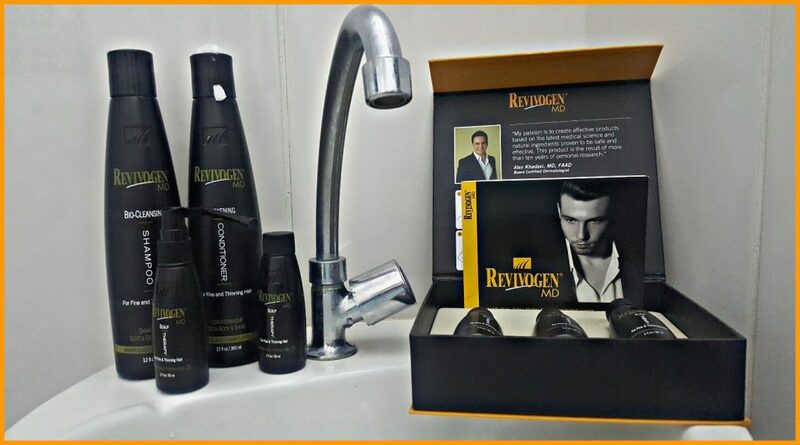 Coming across products from the same brand for men, could be a sign that the company stands behind each product of theirs. Undoubtedly, hair loss and thinning also occurs in men. ViviscalMan promotes to address hair loss in men while offering other health related benefits. There is an official website for these ranges of products where one can get them online. 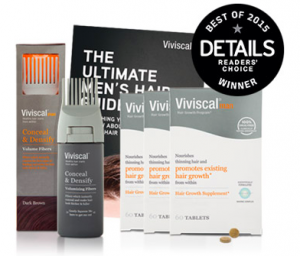 Does Viviscal Man hair growth really treat hair loss and thinning? Yes, their manufacturer claims that they do! One could also wonder to know the science behind this formula. All these and others will be unraveled in this independent review. ViviscalMan is known to be part of the complete Viviscal Hair Growth and Hair Care Programs, which include products to nourish hair from within (Hair Growth Supplement), prepare the scalp (Hair and Scalp Serum, Gentle Shampoo and Moisturizing Conditioner), and add volume (Hair Filler Fibers). 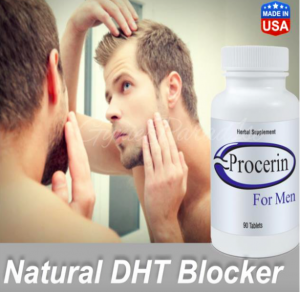 It is marketed as a drug free scientifically proven answer for thicker looking hair in men. 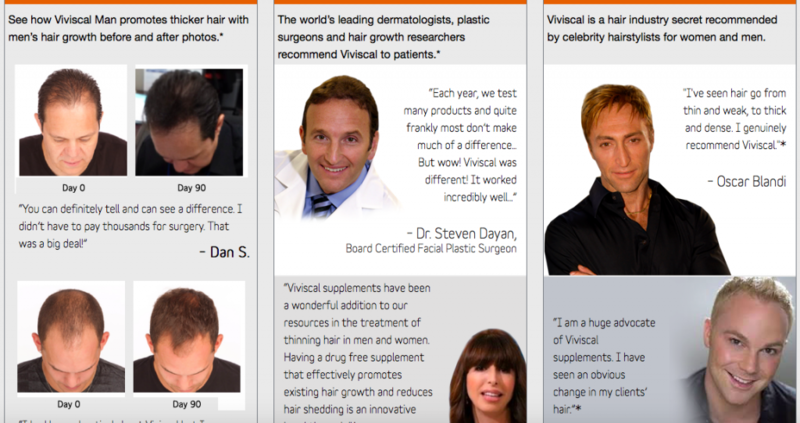 According to the manufacturer, Viviscal Man has been clinically certified to nourish thinning hair and promote healthy looking as well as thick hair in men. More so, this brand’s hair loss formulas should nourish hair from within and promote existing hair growth. The ranges of Viviscal hair treatment products for men are Hair Growth Supplements and Conceal & Densify Volumizing Fibers. This is marketed as the leading male hair growth supplement in the U.S. In line with the manufacturer’s description, it is clinically researched. It should nourish thinning hair in men and promote existing hair growth. According to them, it will reduce the shedding of hair while revitalizing thinning hair in men. The manufacturer promotes that this hair loss treatment formula is backed by 25 years of continuous research and development in the hair loss industry; hence should be effective for the intended purpose. The manufacturer’s recommendation is to take 2 pills in a day (1 in the morning and 1 in the night) after food of which we should see thicker hair results within 3 months. Keep reading to find out more ! Viviscal Man Conceal & Densify Volume Fibers is known to be a part of the complete dual-action Viviscal Man hair care system. According to the manufacturer, it should cover thinning hair and make it look thicker in seconds. The simple thing to do, according to them is to apply the fibers by gently squeezing the applicator and using comb to fix the fibers in place. One can use it as often as needed. ViviscalMan Hair Growth Supplement contains Total Carbohydrate (1g), Vitamin C (30mg), Zinc (8mg), AminoMarTM Marine Complex (452.9mg), Horsetail (stem) Extract (24.5mg), Flax Seed Extract (50mg). 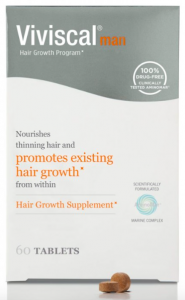 Other ingredients in this Hair Growth Supplement includes Methyl Cellulose, Maltodextrin, Hydroxypropyl Methyl Cellulose, Silicon Dioxide, Magnesium Stearate, Glycerol, Artificial Orange Flavoring, Modified Starch and Fish Ingredients (Shark). Viviscal Man Conceal & Densify Volumizing Fibers incorporates the following ingredients. Dark Brown Ingredients: (Cellulose, Sodium Sulfate, Aluminum Silicate, Ammonium Chloride, Iron Oxides (CI 77499), Iron Oxides (CI 77491)); Light Brown Ingredients (Cellulose, Sodium Sulfate, Aluminum Silicate, Ammonium Chloride, Iron Oxides (CI 77499), Iron Oxides (CI 77491)); Blonde Ingredients (Cellulose, Sodium Sulfate, Aluminum Silicate, Ammonium Chloride, Iron Oxides (CI 77492), Iron Oxides (CI 77499)). Black Ingredients: Cellulose, Sodium Sulfate, Aluminum Silicate, Ammonium Chloride, Iron Oxides (CI 77499). According to the manufacturer, if the diet we take lacks specific essential nutrients for the hair, including vitamins, minerals or proteins, this can affect the condition and strength of the hair. Evidently, male pattern baldness is triggered when there is excessive dihydrotestosterone (DHT) produced in the body (this inhibits hair growth by preventing the supply of nutrients to the hair follicle causing hair loss in men). According to them, ViviscalMan Hair Growth Supplement incorporates the exclusive marine complex AminoMar® and other ingredients of natural origin (Vitamin C, Zinc, Horsetail Stem Extract, and Flax Seed Extract) that should revamp the hair from within and support hair growth. Viviscal Man Conceal & Densify Volumizing is made with an electrostatic coating; therefore they stick to each hair strand to make them thick while concealing thinning hair. In line with the manufacturer’s description of the products, ViviscalMan is specifically designed for men who suffer from hair loss and thinning. This is to say that if you experience hair loss and want to put a stop to it, the manufacturer of this product claims it is for me. Similarly, individuals who need an effective approach to eliminating hair loss/thinning, according to them, will derive great benefits from using ViviscalMan range of products. They are not to be used by pregnant or nursing women. Also, folks who are below the age of 18 should not use these formulas. Additionally, people who are on other medications should first see a physician. There are mixed reviews found about the ViviscalMan ranges of products. The manufacturer promotes to give refunds to the users of these products who are not satisfied with their results. For unsatisfied folks, they can contact the manufacturer within 90 days of obtaining any of the products. The shipping and handling fee is usually removed. They state to be confident that ViviscalMan will achieve great results in its users as regards hair enhancement. They have mind-blowing packages for individuals who could join Viviscal Elite. These should include access to special offers and promotions, automatic shipment every 90 days, lower prices on all Viviscal products, free gifts and free shipping. We can conveniently reach them via any of the channels provided in their official website. ViviscalMan, as we have seen are novel and clinically researched formulas that should forestall hair loss while addressing hair thinning. The manufacturer promotes to have made their products from continuous research and development in line with good manufacturing practices. They do have some clinical evidence of proof of safety and effectiveness of their products. On the other hand, their record of having past users of these products who are satisfied is commendable as there are real positive reviews from these folks. More so, users and potential users of ViviscalMan products should be covered by a 90 day refund policy. Therefore, we have nothing to lose. 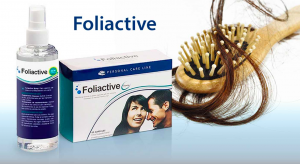 Having painstakingly gathered useful information about this company and their hair loss treatment formulas for men, I may at this point recommend them for folks who desire treatment for hairloss and hair thinning. Check them out at the official website at (www.ViviscalMan.com) ! Also, see more details there! Previous Post Hair Loss in Women Book Review – Will this Work for Women? See the Details in the Review! Next Post How To Grow Hair Faster: The GrowOUT Diet Book – A Complete Review! See Here! 2 commentsOn ViviscalMan Reviews – What Are the Reviews from Results? Or Is There any Side Effects? Find out from the Review ! Really? Good to hear, I’m glad you shared his results of experience.